The Diverse Indian Diwali: Different Parts, Different Ways, Same Sentiment! 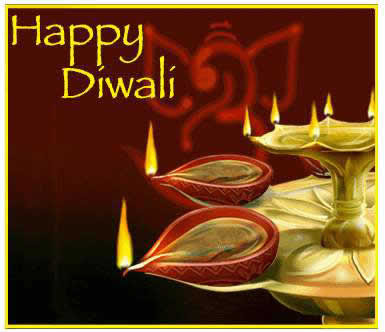 Diwali is celebrated all across India in a grand way. India being the land of cultural diversity is place to multiple types of celebrations on this given day. There are celebrations of a different sort in the North which covers regions like Punjab, Haryana and Delhi. The festivities happen differently in the Western region of Rajasthan and Gujarat. Southern flavor can be seen full throttle in Andhra, Karnataka, Tamil Nadu and Kerala. The East which is home to the cluster of 7 States celebrates Diwali in its own way. Whatever the case is, the festival rings in with loud cheers and appreciation all over the nation. Starting with the East, states like Assam and Manipur celebrate Diwali with all their heart. Houses are lit with Diyas, and a loud Durga Puja happens all over the place. The Goddess Lakshmi is prayed to for blessing every household with a lot of wealth and prosperity. Rangoli is drawn at the entrance to welcome all visitors. They make lovely sweets in the East, which are duly made and distributed all over the place. Apart from that, the quintessential routine of bursting firecrackers happens all night. In Bihar, celebrations begin a couple of days earlier with Dhanteras. People are said to buy new utensils and keep them at the worship place. People in Bihar are also said to eat a lot of Unripe Coconut on this day. Celebrations are very traditional in the West. Rajasthan and Gujarat celebrate Diwali in the traditional manner. Women and men dress up in traditional attire and do a Puja in the evening. Crackers are burst incessantly during the night. A lot of traditional songs are sung throughout the day and especially during the Puja that happens in the evening preceding all the noise and chaos. The North is the noisiest in the whole country. The Puja happens at the grandest of scales. Relatives get together to celebrate the festival after which an unending rhythm of noise resonates all across these states. The sky is made to look its brightest during twilight because of all the fireworks. Sweets are savored all throughout the day and the most exquisite ones are bought. One has the festivities of a lifetime on this day for people dress up in new clothes and are all set to scratch their hands with fire crackers in the evening once the Puja culminates. The South is no less. Though celebrations are a little different in this part of the country, the spirit is no less. People here wake up early and take a bath. The bath is followed by an intense Puja which stretches to well over an hour. Once the Puja happens, everyone sets out to burst crackers. Contrary to what the rest of India does, people in the South believe in lighting up right after the Puja in the morning. The fireworks then begin again when night falls. All in all, nobody celebrates a festival like Indians celebrate Diwali. Sweets, prayers, crackers, greetings and clothes sum up this wonderful day.